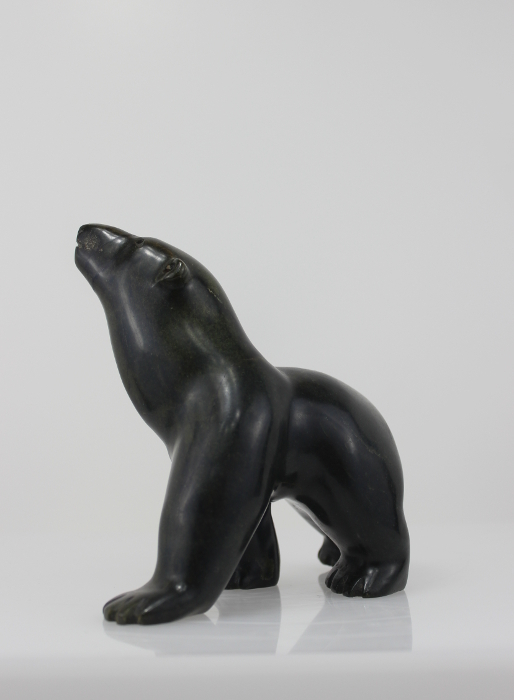 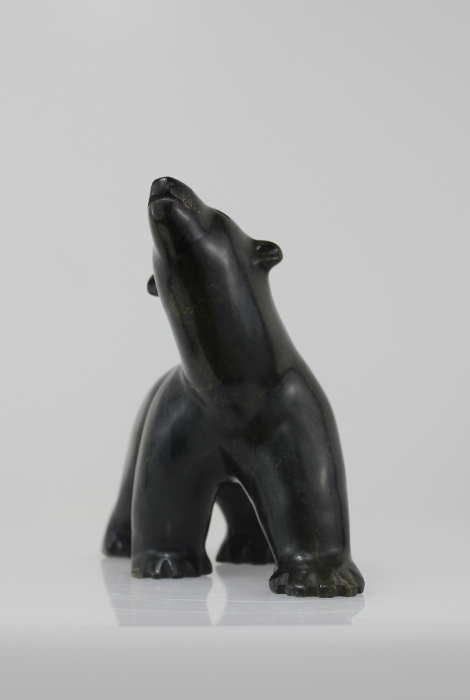 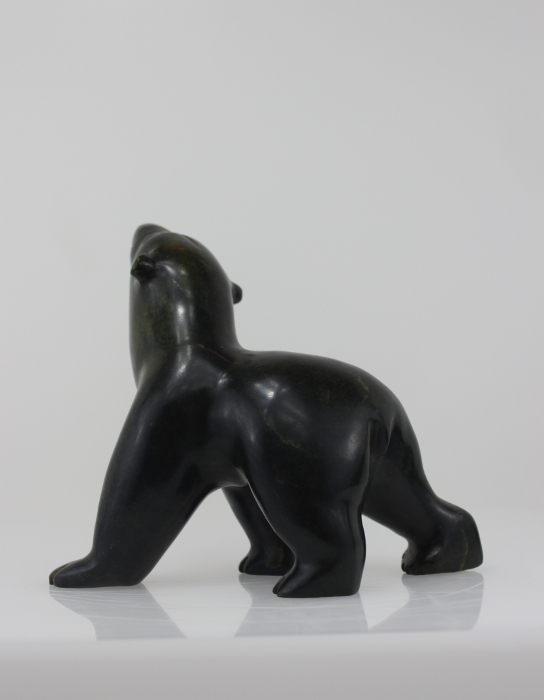 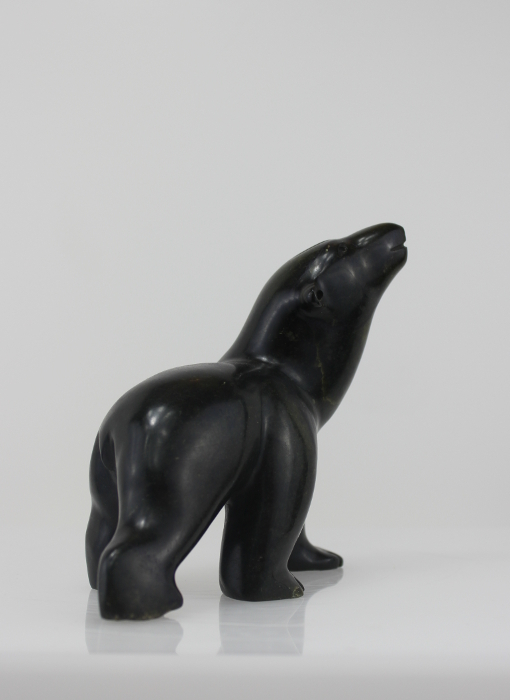 Beautiful bear carved from serpentine by an unknown artist. 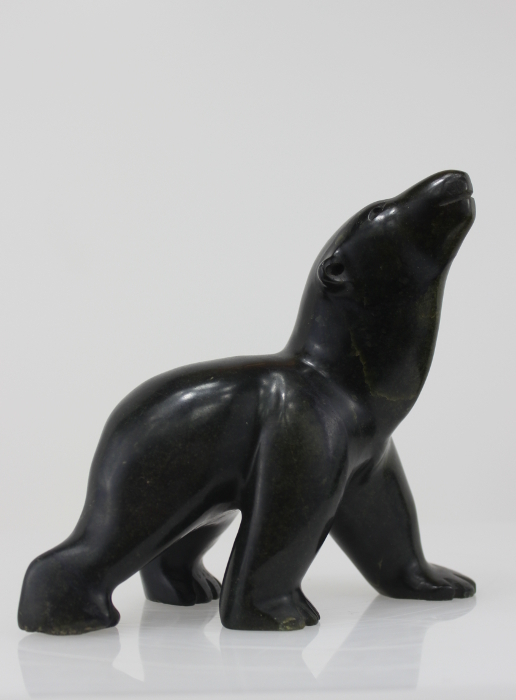 While hard to see in the photos there is a gorgeous green hue in the stone. 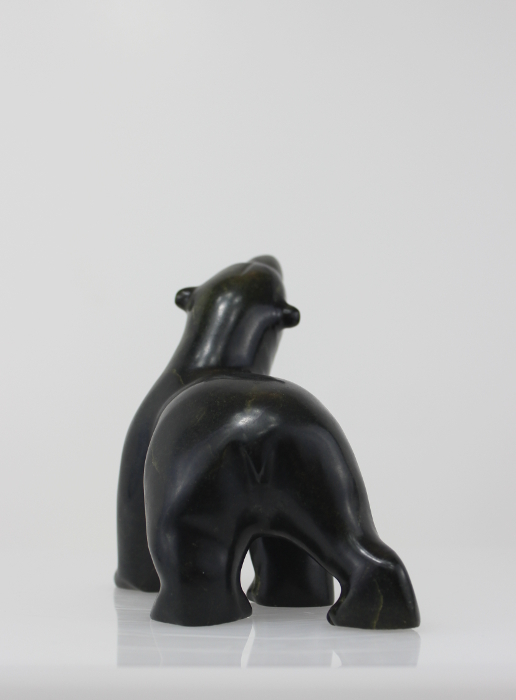 It is easy to imagine the bear just got a whiff of a tasty scent and is trying to find the source. 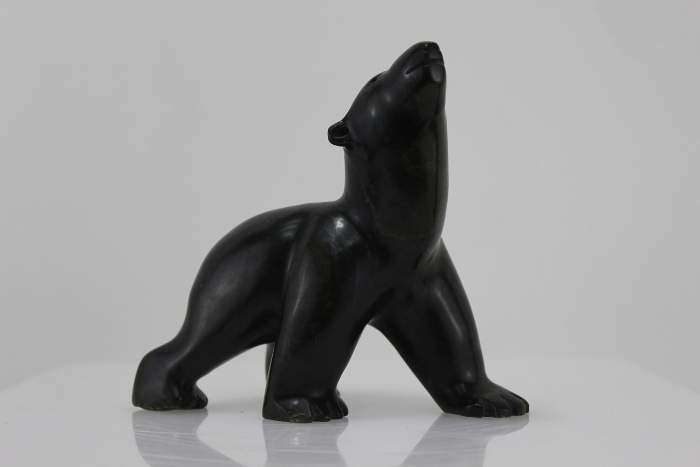 A wonderful carving with gorgeous lines.